This week in getting organized I made this printable. 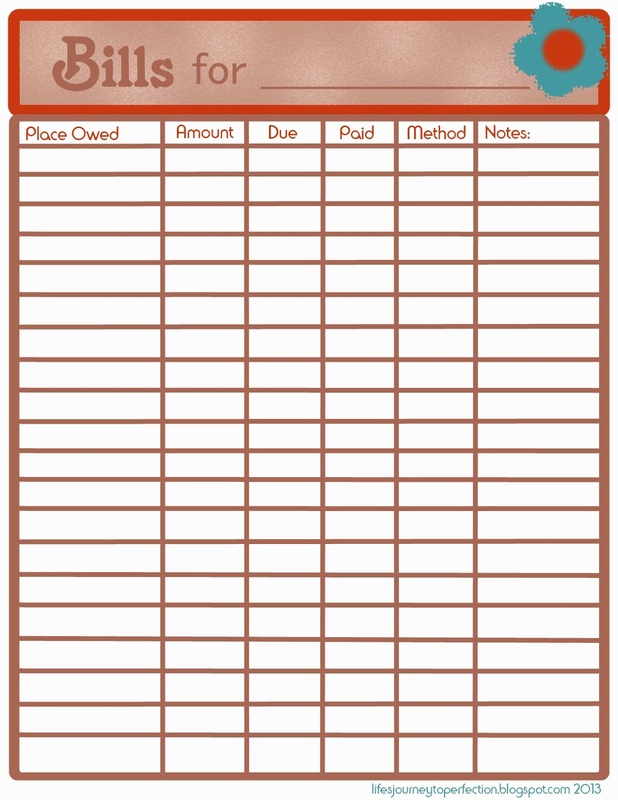 It is so much easier to keep track of what is owed and when it is due if it is written down. 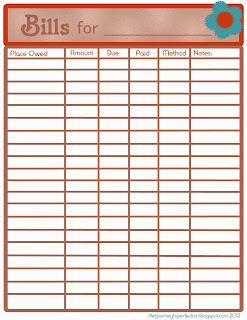 On this printable there is a space at the top for what month the bills are due in. It then has a column where you can put where the bill is from, a column for the amount that is due, a column for what day it is due, a column for the day you paid it, a column for what method you used to pay it, and a column for any notes. Nobody wants to be late for a payment and have to experience the fees and embarrassment that comes from missing the due date. It is stressful when you are not sure what day your payment is due and having to search through all of the paperwork. When we get our bills organized then we will not have to worry about those things. As soon as you receive a bill write it's information down. It is so much easier to just have to refer to one sheet of paper. Our lives will flow just a little bit smoother with each part of our lives that we get organized.